Pearl and Silver Memorial Bracelet with Engraved Heart. A very high quality bracelet made from .925 Sterling silver and Swarovski pearls. 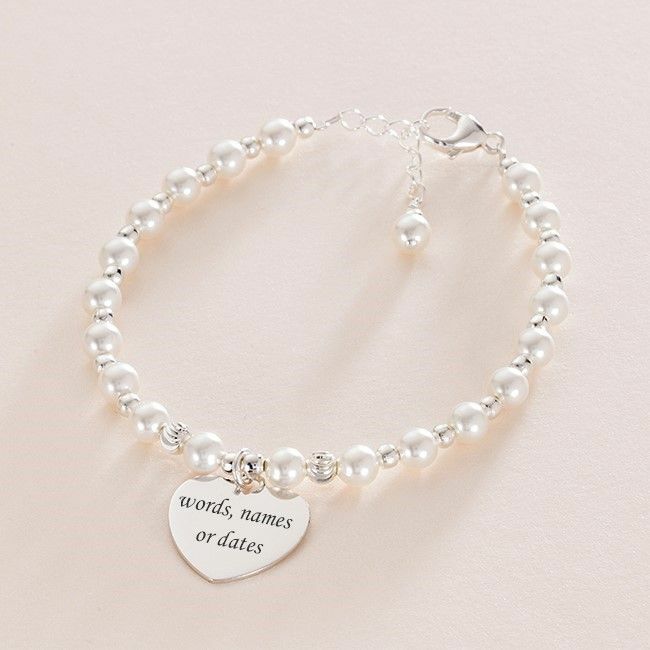 As well as the round silver beads this bracelet features one sparkly mooncut bead on each side of the heart.